There are numerous types of woodwork saws, with the sole function of removing material from a larger piece and leaving a more useful or desired piece for construction. Joiner and Jointers will make your wood panels better prepare for assembly into your project. 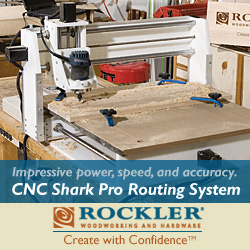 CNC wood machines are rapidly become apart of the home shop. A Band Saw uses a blade made of a continuous band of metal with teeth along one face to cut material. The Miter Saw is a saw used to make precise crosscuts and miters in to a piece. The circular saw is a metal disc blade with saw teeth on the edge, along with a motor that causes the blade to turn in circular motion. A radial arm is a saw consisting of a circular saw mounted on a sliding horizontal arm. A scroll saw is useful for cutting intricate curves in cases where a jigsaw and cutting curves with edges. A scroll saw is useful for cutting intricate curves in cases where a jig saw does not work well, and when cutting curves with edges. A Computer Numerical Controlled – CNC machine is a computer controlled machine for cutting composite, steel, plastics, wood, foams and aluminum. Personal computer based control software has led to the development of personal CNC machines. This has allowed woodworkers to construct their own design using open source software.The sabre saws consist of a reciprocating cutting blade to conveniently cut through wood. A jigsaw is more useful artistically all the cut of curves and shapes, like as stenciled.